Let’s be honest, who wants to be stuck in the kitchen or waiting in the crowded restaurant lines while you are supposed to be enjoying your OBX vacation!!! Everyone should be able to enjoy themselves! 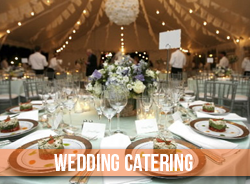 Ten O Six provides several dining options; personal chef services, clambakes and full catered events but one service that is gaining in popularity with our clients is our prepared meals. Our prepared meals to go are perfect for that first night when checking in. 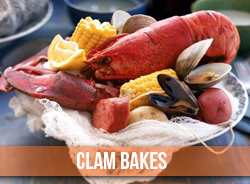 We can have these meals delivered & placed in your refrigerator before you arrive to your Outer Banks vacation home. Don’t worry about running to the grocery store, going up and down the aisles searching for ingredients, or spending hours preparing meals. Ten O Six Beach Road Bistro will save you time with our quick and easy gourmet meals to go. Simply heat your chef prepared meal up in the microwave or oven, and in minutes enjoy a delicious, well-balanced, gourmet meal. We can also deliver your gourmet meals hot and ready to serve!!!! 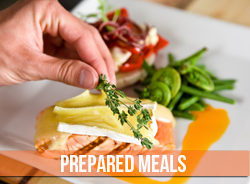 Our prepared meal delivery service helps you save time. Unlike a restaurant’s to go service, you won't waste your time driving to pick up your meal, then waiting for it to be ready. Order your meal in advance and your gourmet to go food can be hot and ready to go or it can be refrigerated until you’re ready to heat it up and dig in. 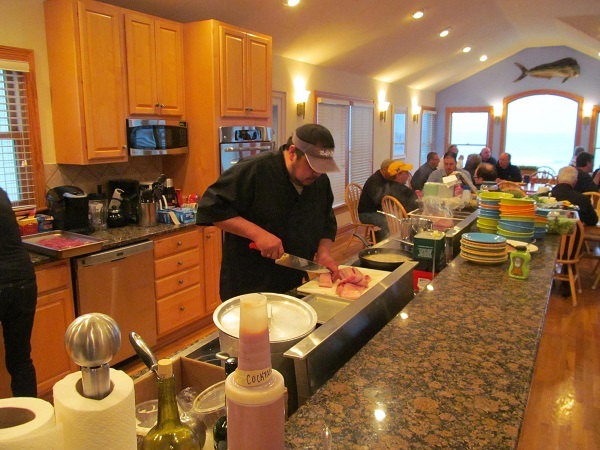 As you see there are several ways to get your Outer Banks chef prepared meal, you just let us know your schedule and Ten O Six will handle shopping, the preparation and cooking, while you just enjoy your vacation!!! 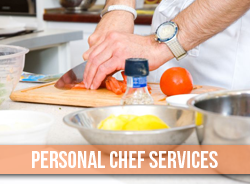 Contact us, order your gourmet prepared meal online or give us a call at 252-261-5817 and we will customize your prepared meal menus for you!